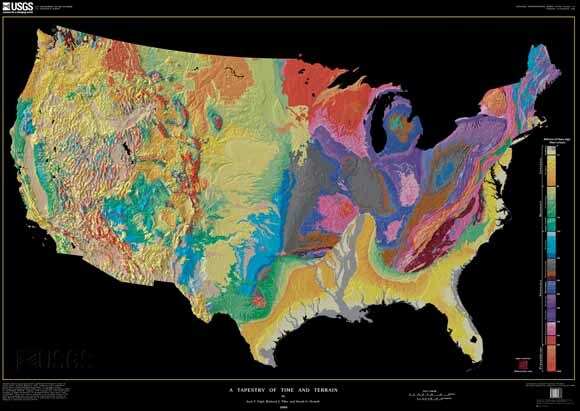 The Shreveport Geological Society has been giving laminated, framed maps to schools, universities, and libraries as a way of ‘Planting the Seeds of Geologic Curiosity’. SGS members are available to give talks on geology, geophysics, and finding oil & gas. Their audiences range from elementary school students to adults. 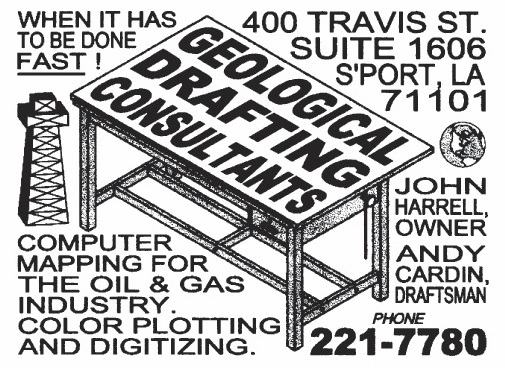 To invite a geologist to your group or class, please contact us. Clayton Cathey presented A Tapestry of Time and Terrain Map to Karyn Flowers at Parkway High School in Bossier City. SGS Member Dr. Mike Roberts shows a quartz crystal to a class of freshmen at Caddo Magnet High School. Photo courtesy of Robert Trudeau. The Rock Kit can accompany guest lecturers. A student looks at a trilobite fossil during an SGS presentation at Caddo Magnet High School. SGS Member Kevin Hill shows 3rd graders how a sedimentary rock with a fossilized oyster can write like sidewalk chalk. Image from video courtesy of HillGeo.com. SGS Member Dr. Mike Roberts, far right, explains a geologic cross section to students.